Yesterday, under the motto “Usability in industrial production”, company representatives presented best practices, trends and innovations. Our senior UX consultant Ariane Jäger talked about our collaboration with EOS on the EOSPRINT 2 project and about mastering complexity with the use of UX. How do companies succeed in bringing usability and user experience into industrial production? 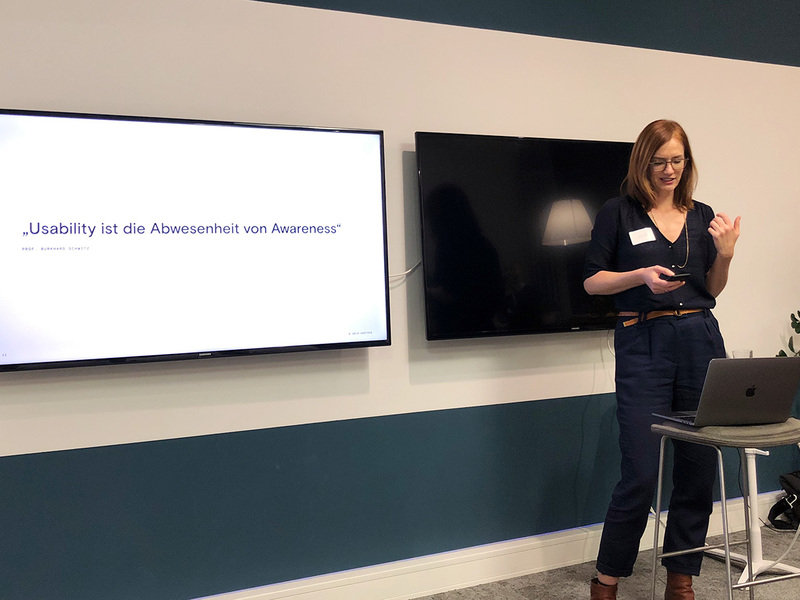 This was the key question discussed yesterday by participants and speakers at the second edition of the roadshow “Industry meets IT” at the International Design Center Berlin (IDZ). As digitisation continues to grow, so do the user’s requirements for the interaction with technical devices. If the user feels overwhelmed by a complex machine operation, this can become a serious competitive disadvantage for the company. Three first-hand case studies demonstrated why usability is a decisive success factor for industry 4.0, as well as how exactly the practical implementation of the UX topic succeeds. At the start, Kai Gehrmann, Dipl.-Designer and Managing Director of attoma Berlin GmbH, introduced the principles, methods and benefits of UX for industry 4.0. Afterwards, Ariane presented our cooperation with EOS in the EOSPRINT 2 project and explained how complexity can be mastered by using UX. Hans Ritschl and Jan Saputra Müller, co-founder of Askby.ai, concluded the event by presenting their innovative machine learning algorithm for voice control in industrial production. We once again thank all participants, Berlin Partner for Business and Technology and IDZ Berlin for the interesting evening and the exciting conversations. Are you also active in the field of Industry 4.0 and interested in a cooperation focusing on UX? Then send an e-mail to our team member Ariane Jäger with your questions and ideas.